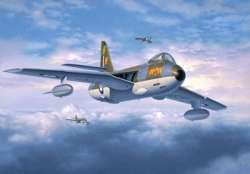 New kit from Revell of the Hawker Hunter which can be built as either an FGA.9 as used by the Royal Air Force, or a Mk.58 as used by the Swiss Air Force. 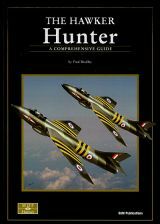 Hawker Hunter FGA.9, No.1 Tactical Weapons Unit, RAF Brawdy, 1979. Hawker Hunter FGA.9, No.79 Squadron, No.1 Tactical Weapons Unit, RAF Brawdy, 1984. Hawker Hunter Mk.58, "Patrouille Suisse" Team, Swiss Air Force, 1991. Hawker Hunter Mk.58, Fliegerstaffel 20, Swiss Air Force, 1993.